Details of the Friends of Bushey Museum's many and varied Meetings, Outings and other Events. The Museum tells the story of Bushey and its unique artistic history. All ‘Friends’, i.e. members of the Friends of Bushey Museum, are welcome to come along to the Meetings, Events and Outings listed below: some need pre-booking, others – just come along on the day! If you want more information about any of these events, have a look in the regular ‘Meetings, Exhibitions, Outings and Events’ leaflet sent to all Friends. It also includes details of who to contact for each event. Want to join the Friends? If you wish to join the Friends please visit the Friends of Bushey Museum page here. All new members will also receive the bi-monthly Newsletter and Events Leaflet listing all future events. The Friends’ calendar of Meetings runs from September to April: there are no Meetings over the summer months. Our Meetings programme from September 2019 to April 2020 will be published in the Friends’ Newsletter & Events Leaflet which will be sent to Members at the start of June 2019 – and we’ll also include details of these Meetings on this website. All of the Meetings, unless otherwise stated, are held at the St. James’s Church House, High Street, Bushey WD23 1BD. Non-members are always welcome: donations invited. A concert performed by young soloists and chamber ensembles. Please note location, date and time of this event! This was the home of Lee Miller and Roland Penrose, the Surrealists. Roland Penrose lived with his parents and three brothers in Oxhey Grange from 1908 to 1932. He became a leading English Surrealist painter, poet, biographer and a co-founder of the ICA (Institute of Contemporary Art) in London. Farleys is the home he shared with his wife Lee Miller, an American model & photographer and a war correspondent in WWII. 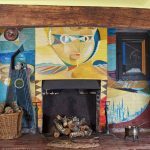 Visitors to the then Farley Farmhouse included Pablo Picasso, Joán Miró, Max Ernst, Man Ray, Leonora Carrington, Henry Moore and others who left many works there which form part of a significant art collection. Roland Penrose was knighted in 1966 for services to the visual arts and his son, Antony, is director of this museum, the Lee Miller Archive and the Penrose Collection. We shall join a Tour of the House at 11.30am lasting 50 mins after which there is the Sculpture Garden and lunch is available in the Gallery. We shall leave at 4.00pm to return to Bushey. The trip is a whole day outing by coach which will leave Bushey from the bus stop opposite Melbourne Road at 9.00am. The coach will arrive back in Bushey at approximately 6.00-6.30pm. Cost: £40.00 per person. To visit the Farleys House website click here. We shall visit Gainsborough’s House, Museum and Gallery where we shall have coffee/tea & biscuits on arrival followed by an introductory talk at 11.30am. Members will then be able to explore the House, Museum and Gallery. Any refreshments at the house must be booked in advance – this has been done for coffee & tea on arrival. Alternatively it should be possible to find lunch in Sudbury and there should be time to explore the town. We shall leave Bushey at 8.30am arriving in Sudbury about 11.15am to be at Gainsborough’s House for 11.30pm. Whole day outing by coach. Coach leaves Bushey from the bus stop opposite Melbourne Road at 8.30am and arrives back in Bushey at approximately 6.30pm. Cost: £43.00 per person. Art Fund members £37.00. 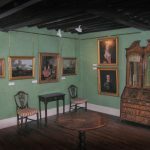 To visit the Gainsborough’s House website click here. Thursdays to Sundays, 11am to 4pm. Admission free. This site regularly maintained, and feedback for new content and updates is always welcome: please email Andrew Gunton at webmaster@busheymuseum.org. … and click here for more! Copyright © 2019 Bushey Museum & Art Gallery. Powered by WordPress. Theme: Spacious by ThemeGrill. Hello! Thanks for visiting the website. Are you a member of the Museum ‘Friends’? If not, then please go to the Friends of Bushey Museum page for more information!